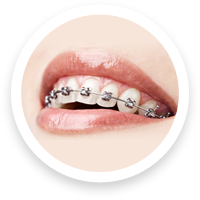 Dr. McDade and the orthodontics team of McDade Orthodontics offer the most advanced braces for children and adults. 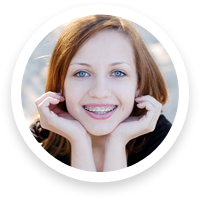 These types of braces and orthodontics include metal braces, braces behind your teeth, clear braces, Invisalign Teen, and Invisalign in Santa Barbara, CA, Oxnard, CA and Camarillo, CA. 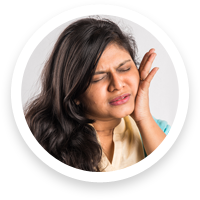 We can even help you achieve your confident smile faster! Since 1993, orthodontist Dr. McDade has helped 10,000+ patients, like you, transform their happy and healthy smile with braces and orthodontic treatment. Patients of McDade Orthodontics enjoy affordable braces and orthodontics, virtually no wait times in our orthodontic offices, and extended office hours. Call 805.485.3200 today for your complimentary consultation for braces and Invisalign at our conveniently located orthodontic offices. Come experience McDade Orthodontics! You will quickly see for yourself that our orthodontist offers state-of-the-art braces and Invisalign in Santa Barbara, CA, Oxnard, CA, Camarillo, CA, Ventura, CA, Ojai, CA, Goleta, CA, Monticito, CA, Carpinteria, CA, Thousand Oaks, CA, and Newbury Park, CA!